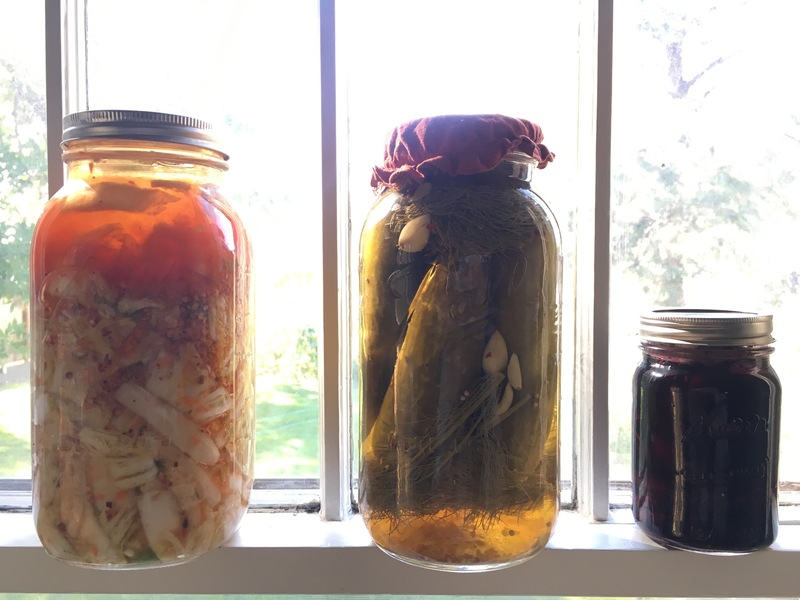 Fermented foods have changed my life. They have a magical quality to them. They are healthy and making them is almost all passive time; time spent watching nature do her wondrous work. From left to right we have vegan kimchi, garlic dill pickles, and cumin basil beets. Cucumber, garlic, and red pepper flakes are from my gardens. Oh, I also made that little linen “hat” on the pickle jar originally as a sourdough starter cover but it serves me well for many other purposes.